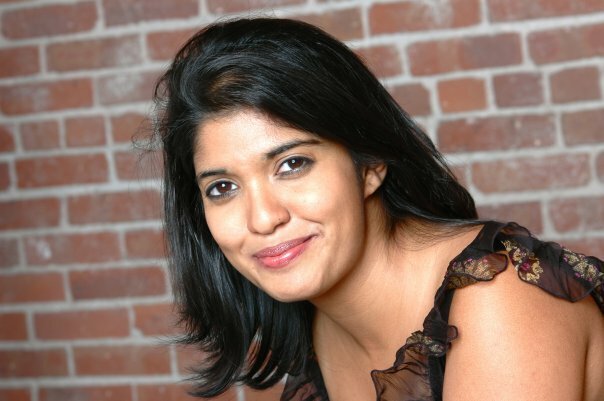 Dipika Guha is an MFA playwright at the Yale School of Drama studying with Paula Vogel. Her plays have received workshop productions at Brown University, the Yale School of Drama and the Yale Cabaret. She is the recipient of several fellowships including the Frank Knox Memorial Scholarship at Harvard University, the Adele Kellenberg Fellowship at Brown University and the Eugene O’Neill Fellowship at Yale University. She was part of the Young Writer’s Workshop at the Royal Court Theatre in London. She is a member of the Dramatists Guild. Passing is set on an unidentified island. The play opens in 1949 and arcs to the present day. It deals with an ill suited married couple who live as settlers in an unfamiliar ‘exotic’ part of the world. Soon after the loss of a baby, a young girl enters into their lives. Soaked in blood, she emerges, her body an invitation and a threat. Seen through the frame of an art gallery exhibit, Passing looks at how we construct history in the narratives of our natural history museums, art galleries and our theatres. The Betrothed is a tragi-comedy about a young American man betrothed to a woman in an unspecified East European country. He arrives to find that she is ancient. She insists that she IS his betrothed, his only love and that she aged overnight due to the stress of his anticipated arrival. Horrified by her age and her abundant sexual interest in him, he kills her. The Betrothed is a comic exploration of gender, sexuality and national identity. The State of Affairs was inspired by the letters of author Arundhati Roy on the treatment of ‘bandit queen’ Phoolan Devi. Set in a post-apocalyptic world, it traces the rise of a powerful female politician in a world where the State takes violent action against women who commit crimes against their families. The State of Affairs is a dark play which revels in theatricality. Set in the present day, the play examines the life of a young girl who discovers she’s interesexual and the lives of Afghani prisoners in an unspecified prison camp. It is an exploration of the polarization of our perceptions of gender and politics. Elsinore is set in a mythical Denmark. It is a response to Shakespeare’s Hamlet and features a female protagonist, Hilde, who commits an unspeakable crime to break free from her family.